Fig London is an established design practise based in South West London, specialising in residential interior design. It was created in 2006 by Partners Caroline Doyle and Nikki Maraviglia. Caroline began her career as a fashion buyer and went on to establish a successful Curtain and Soft furnishings business. Nikki has a background in interior styling and decorating and worked for several well respected interior design consultancies before forming her own interior decorating business. 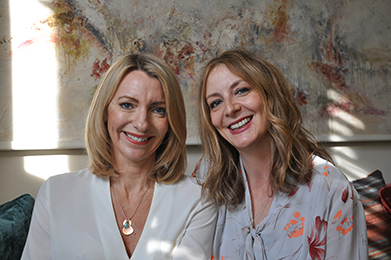 With Caroline's design experience and Nikki's creative flair it seemed a natural progression that they form a partnership combining their skills and extensive portfolio of suppliers and contractors to form Fig London. The company has a flexible approach to their projects working with both contemporary and traditional spaces and they have earned a reputation for delivering timeless designs which are not only functional but effortlessly stylish. The services they provide are comprehensive and tailored to meet the individual needs of their clients and their meticulous attention to detail and project management skills have allowed them to deliver their projects on time and to the highest quality.